Between 1992 and 2009, Russia’s per capita biocapacity reserve expanded from 0.9 to 2.6 global hectares, due in large part to a decline in per capita consumption and subsequent 24 percent decrease of the country’s carbon Footprint component. 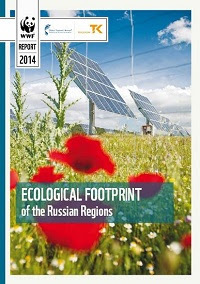 This makes Russia unique in having both a relatively large population and increasing biocapacity reserve, stresses the report. Managing biocapacity has officially become a priority in the Greater Mekong Subregion. Last month, Global Footprint Network was invited to Nay Pyi Taw, Myanmar, to present on the Ecological Footprint at a forum about best practices in managing biodiversity landscapes in times of growing ecological constraints. This forum was one of the “knowledge events” preceding the fourth triennal meeting of the Environment Ministries (EMM4) of the six administrative entities that make up the region (China’s Yunnan Province and Guangxi Zhuang Autonomous Region, Cambodia, Laos, Myanmar, Thailand, Viet Nam.) Titled Increasing Investments in Natural Capital in the Greater Mekong Subregion, the event was organized by the Asian Development Bank. It aimed at scaling up efforts to protect and enhance natural capital to achieve inclusive and sustainable development in the region, starting with identifying effective partnerships across sectors and stakeholders to increase investments regionally and nationally. The EMM4 joint statement of development partners was delivered by WWF on behalf of the development partners of EMM4, which include Global Footprint Network. Five years after its first residents moved in, Cloughjordan Village in Ireland is remarkably close to achieving one planet living. With an average Ecological Footprint per capita of 2 global hectares (gha), the community is striving to lower that number even further to 1.7 gha – the average biocapacity per person available on the entire planet, based on Global Footprint Network’s latest estimates. In order to track and guide their efforts, residents have been using a modified, “bottom-up” Ecological Footprint accounting methodology that is designed to clearly reflect the impact of individual behavior on a household’s Ecological Footprint. We spoke to the research coordinator behind the methodology and the study, Vincent Carragher. ef) to reveal the average distance that the natural resources required to support a population’s Ecological Footprint travel to reach that population. Their study of Beijing’s food Ecological Footprint between 2008 and 2012 clearly indicates that the city’s demographic growth is reflected in the Def increase over the same period, raising risks associated with food security. Read our interview with lead researcher Xie Gaodi of the Chinese Academy of Sciences Institute of Geographic Sciences and Natural Resources Research. In a paper recently published in the journal Environmental Science & Policy, Dr. Alessandro Galli, Global Footprint Network’s director of the Mediterranean and MENA regions, explains the rationale behind Ecological Footprint accounting and addresses some misconceptions about the methodology. Through a case study on Morocco, Galli also initiates a discussion on the potential policy usefulness that can be derived from the Footprint and on the guidance the Ecological Footprint can offer during the various stages of the policy-making process. He concludes that, given its cross-cutting approach, the Ecological Footprint is most informative in the “early earning” and “monitoring” steps of the policy cycle. Access the article here. An article on environmental risk in the sovereign bond market, co-authored by Global Footprint Network policy analyst Martin Halle, was one of the top three most downloaded articles in the Journal of Sustainable Finance & Investment in 2014. As a result, the article, “Towards a new framework to account for environmental risk in sovereign credit risk analysis,” is available for free download until June 30, courtesy of publisher Routledge. A new edition of Global Footprint Network’s National Footprint Accounts, one of the most widely used natural resource accounting frameworks in the world, will soon be available under a new, more open licensing structure. Global Footprint Network will offer a new “Public Data Package” as a free download from our website. This will include the latest per-capita Ecological Footprint and biocapacity results as well as country graphics, global Ecological Footprint time series and graphs, and data quality scores for all countries. In addition, a free “Learning License” will offer one-year-old National Footprint Accounts 2014 workbooks (based on 2010 data) for Hungary and the world. Mathis Wackernagel, president of Global Footprint Network, will talk on the Living Planet Report and the Ecological Footprint at the Commonwealth Club of California in San Francisco on Feb. 11. He will discuss Ecological Footprint science and the challenges to ensuring sustainable environments globally, nationally and in California. Tickets for the event can be purchased online. The Living Planet Report is also available online at www.footprintnetwork.org/lpr. Global Footprint Network is pleased to announce that it was just named one of the world’s Top 100 NGOs. In its fourth year, the NGO ranking was published by the Swiss nonprofit Global_Geneva. We are humbled to find ourselves in great company, including Oxfam, Acumen, Grameen Bank and Ceres. And we intend to keep following up on our commitment to foster change. Our mission is to promote a sustainable economy by advancing the Ecological Footprint, a measurement tool that makes the reality of planetary limits relevant to decision-makers.